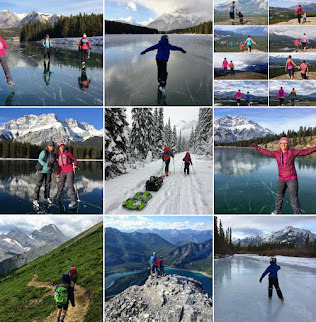 Every time we visit Banff, we find something new to do or see! And this is quite incredible to me given that we live an hour away from the park gates and that we should have run out of family-friendly trails and activities a long time ago. Somehow though, we always find a new trail that I honestly never knew existed and just begs to be explored. This spring has been especially fun for us in Banff because we're on a mission to ride all the family-friendly paths and trails in the park, and to conquer Banff on our bikes. We spent the last two weekends camping in the park and we tried to knock as many rides off our list as possible. In hopes that you'll all benefit from our research and "testing" of these trails for you, here are our favourite family bike rides in Banff, with a few listed that we still have yet to do later this summer. This is one of the classic rides in the Banff area and connects the mountain towns of Banff and Canmore. It is approximately 20km one way depending on how much of the full trail you ride, but there are plenty of options for shortening the route. 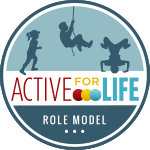 For more information on this trail, read my last story: Biking the rocky Mountain Legacy Trail - WITH KIDS. This ride shares the road with vehicle traffic but the speed limit is 30km per hour and cars tends to give you wide birth - especially when they see children. We felt safe riding this road last weekend and it's a lovely tour with little height gain. We even had a 3 year old bike to the Second Vermillion Lake on a balance bike! The road starts from the edge of the Banff Townsite at the Mount Norquay entrance off the TransCanada Hwy. Vermillion Lakes Drive leads you past three beautiful lakes popular with paddlers and families stopping to play on the docks. Watch carefully and there's a very good chance for wildlife sightings and marsh birds that you won't see in many other parts of Banff. The Full ride is 4.3km one way to the Third Lake but you can turn around at any spot. Parking is available on the side of the road at the beginning of Vermillion Lakes Drive. You'll know you've found the spot because it is a very popular ride!! This is a lovely flat paved walking path that follows the Bow River through the town of Banff. It's perfect for small children and families pushing strollers. From Central Park downtown to the Fenland Trail, it is only 0.9km and training wheel or balance bike friendly! See the description further below for the Fenland Trail if you want some easy mountain biking or want to continue your walk for an additional 2km. The Bow River Trail can also be used to access the Recreation Grounds and Banff Bike Park from downtown Central Park. See Map here. The Sundance Trail is 3.6km one way from the Cave and Basin parking lot to the Sundance Canyon trailhead (where you can continue on for a short 1.2km loop on foot through the canyon.) The trail is paved but expect a climb of 145 metres on the way in that may frustrate small children. On the way down though it is a lot of fun!! It is a good trail for parents with strollers or Chariots. This short 2km loop hiking trail in the town of Banff is perfect for children wanting to try some easy mountain biking. Expect a few roots but otherwise there are no technical difficulties (unless you count the bridges small kids may have to push their bikes up and over) on this dirt and gravel trail. And it's a wide double track trail that's Chariot friendly if you want to pull younger children. For a really fun bike loop, start at Cascade Park downtown and bike the paved Bow River Trail heading towards Fenland. Bike the Fenland Trail (left at the first trail junction) and cross the big bridge over 40 Mile Creek to gain access to Vermillion Lakes Drive. Bike Vermillion Lakes Drive as far as you want (we went to the Second Lake) and turn around. Get back on the Fenland Trail, finish the loop and head back down the Bow River Trail to your car. The total distance of our ride was 7km and it was doable by kids on balance bikes as well as pedal bikes. The youngest was 3 and just needed a bit of help on the way back. If I lost you, check out this GREAT MAP of Banff. It has all of the trails marked so you can figure out the route you want to take. This is a lovely introduction to single track riding for young kids wanting to try mountain biking. The trail only gains 50 metres from the Cascade Ponds Day Use Area to Bankhead and is relatively straight forward. Gears are not necessary and you can ride it on a balance bike. My five year old had few problems on it whatsoever and he enjoyed the old coal train and ghost town at Bankhead. Note that there is one creek crossing on the trail if you start right at the Cascade Ponds area but we walked across it easily. We thought we'd start at Bankhead and ride one-way (2.4km) to the Cascade Ponds Day Use Area since that was in the downhill direction and promised to be easier. What we didn't realize though is that the bike path travels along the valley bottom and never climbs up to the highway at Bankhead. To get on the trail, we had to carry our bikes down three flights of stairs on the Bankhead Interpretive Trail. Hence, it explains why Parks Canada says this is an out and back ride from Cascade Ponds. Trail update for 2016: Skip the Cascade Ponds section of the trail. Drive past the day use area and turn right on the Lake Minnewanka Scenic Drive road . You'll reach a gravel pull out on your left hand side within a few kilometres. Start here for quick access to the trail heading to Bankhead. This skips the whole rocky creek crossing section and avoids the route finding problems I know families have had. The trail shows up on Google Maps and you'll be able to see where the trail crosses the road on the Scenic Drive for easy jumping on. This 3.5km loop circles the Tunnel Mountain Campground in the Banff townsite and is an easy entry-level trail for families. It's also a good loop to jump on and off of while doing the harder Tunnel Bench Loop below. Both trails follow the same circle on the bench and can be done as a mix and match. For more information on this loop, see the story I wrote: Mountain Biking the Tunnel Bench Loop in Banff. This 9.7 km loop would be best suited for school-aged children who have done the other trails mentioned here with ease, and are looking for the next step up! The Parks Canada website describes the loop as "entry-level single track with minimal elevation gain," which would be fairly accurate. My 5 year old did a short section of it and wasn't scared in the slightest. Basic bike requirements for a child biking the trail should be a 20" bike with gears and hand brakes. It was a little bumpy and challenging on our smaller 16" bike. Note that there are also a few exposed sections that could be walked by novice riders. For more information and a full review of this loop read my story: Tour de Banff - The Ultimate Family Mountain Bike Loop. An easier version can be found here on the Junior Tunnel Bench Loop Ride combined with the easier Tunnel Campground Loop. We haven't finished the whole loop yet but we did the East side of the loop after riding out from the Goat Creek Trail. This loop starts at the Banff Springs Hotel (west side) and finishes at Bow Falls (east side) for a 11.3km loop ride on a good double track trail. The trail can be biked in either direction but it's generally done from the hotel to the falls. For information on where to park, read the description on the Town of Banff website. Note, if you are doing the full loop and plan to finish at Bow Falls, you will end up below the Banff Springs Hotel. It's easiest at this point to send somebody up to the hotel on foot to fetch the vehicle. You'll be climbing a set of stairs to get back up to the hotel and it's not overly fun while carrying bikes. Alternately, take the connector trail located before the last hill down to the golf course. This takes you back to the west side trail and back to the hotel. You'll see what I mean on this map. Want to bike further on the Spray River Loop and go all the way to Canmore? The Goat Creek Trail is a popular mountain bike trail that connects the towns of Canmore and Banff in a 19km ride typically done one-way, heading towards Banff. 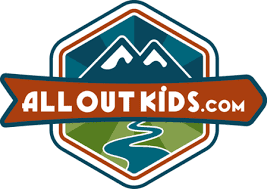 More information can be found on my Kananaskis Trails story: The Best Family Bike Trails in Kananaskis. Number 11 on the Banff Biking Brochure, This trail is best done from north to south, ending at the Surprise Corner viewpoint overlooking Bow Falls and the Banff Springs Hotel. It is one of the most beautiful trails located on the Tunnel Bench in the townsite of Banff and is surprisingly easy for a "blue" intermediate trail. Our philosophy of course: "walk the hard stuff, and bike the rest." We walked the occasional hill up, had to carry our bikes down a short flight of stairs, and took care near the river near the end. Other than that, it was a beautiful family ride and it was only 4km long with approximately 60m of height loss/gain. Being an intermediate mountain biking trail, this ride is recommended for children on 20" bikes (or larger) with hand brakes and gears. The trail would officially be labeled as "single track" but it was never very narrow or tight. Note, the trail does not begin right from the main Hoodoo parking lot on the brochure above but from a trail junction that you will come to as you bike parallel to Tunnel Mountain Road. Follow signs for the Hoodoo Trail and you'll be fine. And unless you want to bike back up to get the vehicle, arrange a shuttle with a second vehicle parked at the Surprise Corner Viewpoint. For more information and a full review of this trail combined with the Tunnel Bench Loop above, read my story: Tour de Banff - The Ultimate Family Mountain Bike Loop. The Water Tower isn't exactly an "easy" mountain bike trail, but it's great for older kids looking for a bit of challenge. And the riding still isn't what I would call hard. This is my newest fav. bike trail in Banff for the views over the valley and for the fun swoopy single track. I've done this trail twice now and have figured out my favourite way to do it. First, drive to Johnson Lake on the Minnewanka Lake Loop Road and park in the main parking lot. Bike down to the lake and you'll see an old road heading off to the right of the lake (just before a little bridge and bench.) Follow the old road uphill to the Water Tower. From here it is relatively easy single track riding with plenty of ups and downs to ensure you don't get bored. The first time we did the trail as a family, we rode all the way to Cascade Ponds, where we'd stashed a vehicle. I wouldn't recommend this though because the trail is gradually uphill most of the way and doesn't go down until you reach a hill that's too steep to ride (with stairs!) Then you have to pick your way through flood damaged trails to reach the pond. The best way to do this ride is as an out and back from Johnson Lake. Ride until you see Cascade Ponds below you and turn around before the big final hill down. It's a fast easy ride back to Johnson Lake. The bridge is finally back in on this trail from the last flood and it's a great family-friendly ride. The trail is double track and relatively easy. Expect a few bigger hills that novice riders could walk. Gears recommended if you want your child to make it up the hills. We rode this trail one way from the Healy Creek Trailhead on the Sunshine Village road and there were hills in both directions, up and down. We rode the trail to the junction with the Sundance Trail and finished on an easy paved trail as we rode back into the Banff Town. This is a great trail if you can set up a shuttle so that you only have to ride one way back into town. 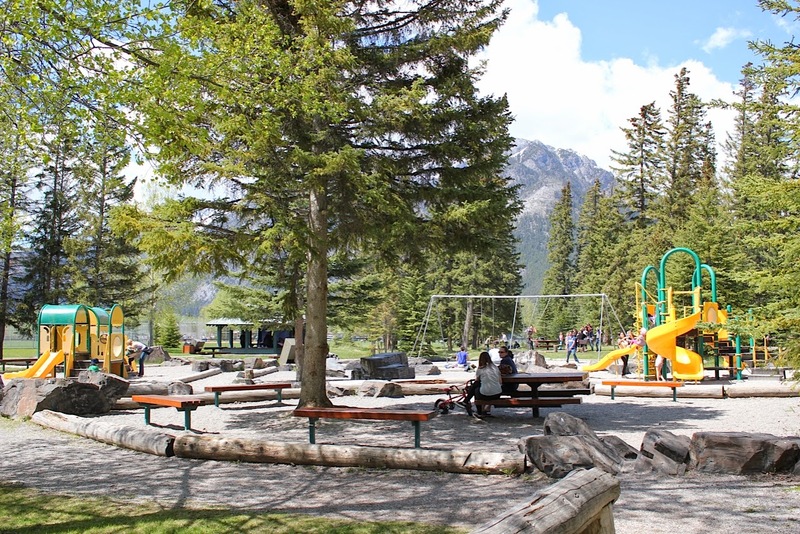 Alternately, finish at the bike park and playground at the Banff Recreation Grounds while an adult bikes back for the vehicle. This 7.1 km loop circles the village and campground area of Lake Louise. It would fall under the category of "very easy single track mountain biking" but is definitely not challenging or super narrow. The full loop is relatively flat and kids will enjoy the occasional roots and flowy sections, the bridges, and opportunities to get close to the Bow River. The Tramline Trail is 5 km in length and loses 186 metres in height, all on a good double wide trail that is tracked and groomed for cross country skiing in the winter. The trail is a bit bumpy in spots and I advise having hand brakes for it. That being said, our youngest group rider on a recent trip had coaster brakes and was riding a small 14" bike - and did just fine. Looks like some good trails, especially the single tracks. Cannot wait to try them out next year when I am going to be there. Thanks. Let me know what you think of the trails if you come this way. I would choose the light bike without hesitation. As a kid, I never had a bike with a chain guard, rode my bike almost every day, and never hurt myself. 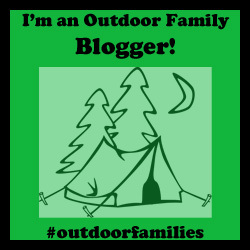 I love all the information you have provided on your blog with a lot of important details and pictures! I am planning a family trip for this summer and this is very helpful. Thank you!